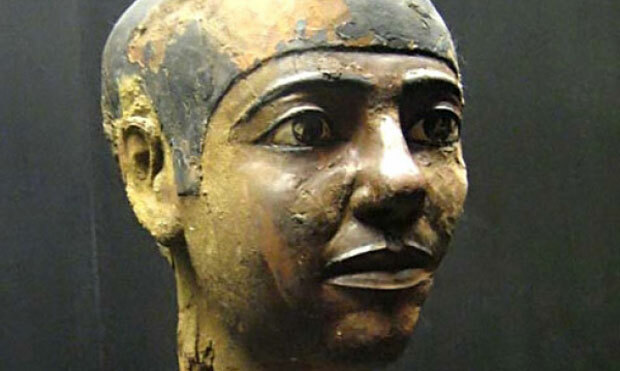 Imhotep was an ancient multifaceted Egyptian genius who bagged great success in an extensive variety of fields. He lived around 3000 B.C. as a demigod having possession of divine powers and then turned into god of medicine. Imhotep’s gigantic variety of talents and immense knowledge enlisted him among those a few individuals who were given the status of god by Egyptians despite their nonroyal births. The list of his many skills covers him up as a sage, astrologer, chief minister to the second king of Egypt’s third dynasty, inventor of the pyramid, author of ancient wisdom, architect, high priest, physician, astronomer, sculptor, carpenter and writer. The birth place of Imhotep is recorded as Ankhtowe, a suburb of Memphis, Egypt and he is said to be born on the sixteenth day of Epiphi, third month of the Egyptian harvest (corresponding to May 31) but the year is not definitely recorded. Imhotep was the son of a celebrated architect named Kanofer, who was discovered to be the first of a long line of master builders who played vital roles in contributing to Egyptian works. Major portion of Imhotep’s fame occupies his achievements as inventor of pyramid and builder. He was honored as one of the chief officials of the Pharaoh Djoser. He was the leading architect of the step pyramid situated at the necropolis of Ṣaqqārah in the city of Memphis. It is believed that Imhotep was the first one to use stone columns to support buildings. Even though the use of stone for the construction of buildings had initiated before the time of Imhotep in Archaic Period but he revolutionized the technique and set exuberant examples by inventing the method of a stone-dressed building during Djoser’s reign. He used the already known techniques for stone walling, flooring, lintels, and jambs and made gigantic structures with the size equivalent to the size of the Step Pyramid entirely out of stone. To make pyramids Imhotep took the inspiration from Egyptian beliefs and blended them with newness of the idea for structural science in the Bronze Age. Moreover, the final form and construction techniques were also based upon the conventional ideas and methods of those times used to make mastabas but Imhotep proved to be more courageous and scaled things up to a level that could only be achieved by a genius like him. If his creations are analyzed in this age according to modern standards, digging, building, elevation, replacement of materials, filling, carving, in short every single minor detail related to construction, engineering, structure and architecture of these massive buildings seems impossible without the latest technology we have today. Apart from this massive Sakkara project, Imhotep is also believed to be the master builder of several other important buildings completed during a forty-year period of the Third Dynasty but none of them seem to be competing with these pyramids neither in scale nor in stylistic supremacy. Imhotep even wrote an architecture encyclopedia that was followed by Egyptian builders as a reference device for thousands of years. Imhotep is regarded as the inventor of all major technological accomplishments and cultural advancement of Egypt. There are no solid facts revealing the time and circumstances of Imhotep’s death. His disappearance is associated with the scarcity of his architectural manuscripts and medical texts leading to complete extinction. It is said that Imhotep made his own tomb whose location could also not be discovered but it is assumed by the archaeologists that it can be concealed within the area of Saqqara.